Nkandla municipality to receive skills training for unemployed youth - SABC News - Breaking news, special reports, world, business, sport coverage of all South African current events. Africa's news leader. 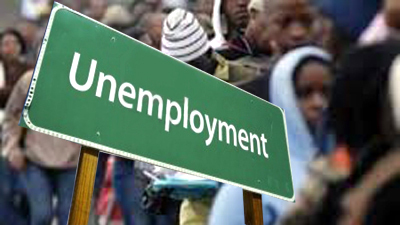 About 8% of the youth in Nkandla municipality are unemployed and don't have the necessary skills. The rural Nkandla municipality in northern KwaZulu-Natal has earmarked R2 million for the provision of skills training for unemployed youth in the 2019/2020 financial year. This has been revealed by Nkandla mayor Thamsanqa Ntuli. About 8% of the youth in the area are unemployed and don’t have the necessary skills to either secure employment or start their own businesses. According to Ntuli, they are focusing on skills such as poultry farming, baking, driving and small business development. “To give them skills they can use after training to establish their own businesses and employ other people to be able to grab whatever job opportunities which are available. At the same time the youth is a priority, like tenders, etc. You will realise that local youth benefit a lot even in the construction of halls. You find that youth are participating,” says Ntuli. This entry was posted on 13 Apr 2019,04:48PM at 4:48 PM and is filed under South Africa, Homepage Latest Stories Slider. You can follow any responses to this entry through the RSS 2.0 feed. Both comments and pings are currently closed.